ST. GEORGE — Police say failure to yield on a left turn resulted in a two-vehicle crash Monday morning by the Costco parking lot, totaling a Chevrolet Camaro and uprooting a tree bordering the lot. 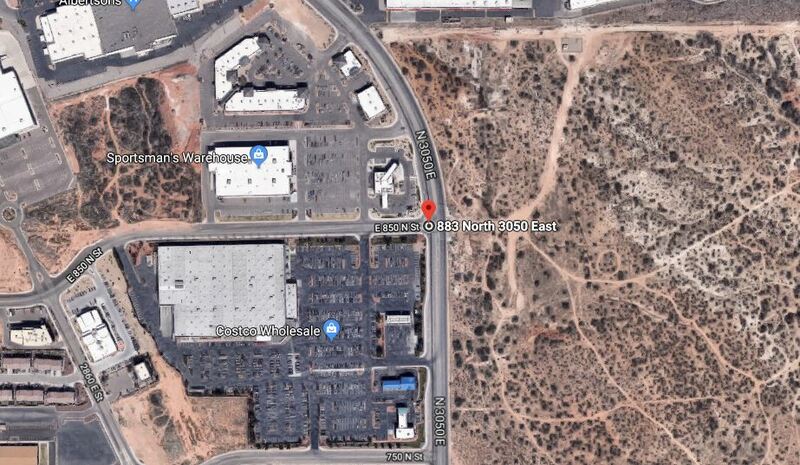 The driver of the black Camaro was traveling north on 3050 East and turned left onto 850 North just after the light turned yellow, St. George Police officer Lona Trombley said. 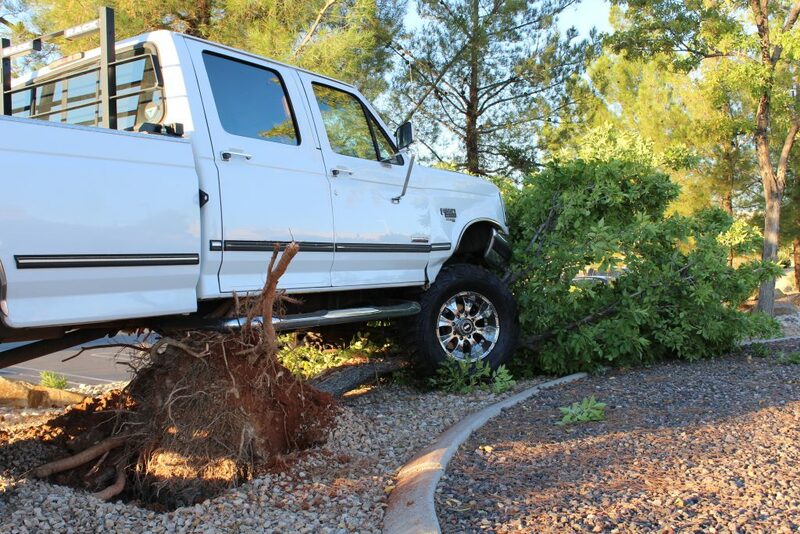 The female driver turned in front of a white Ford F350 that was traveling south on 3050 East. The male driver of the Ford was unable to stop the vehicle in time before crashing into the passenger side of the Camaro. 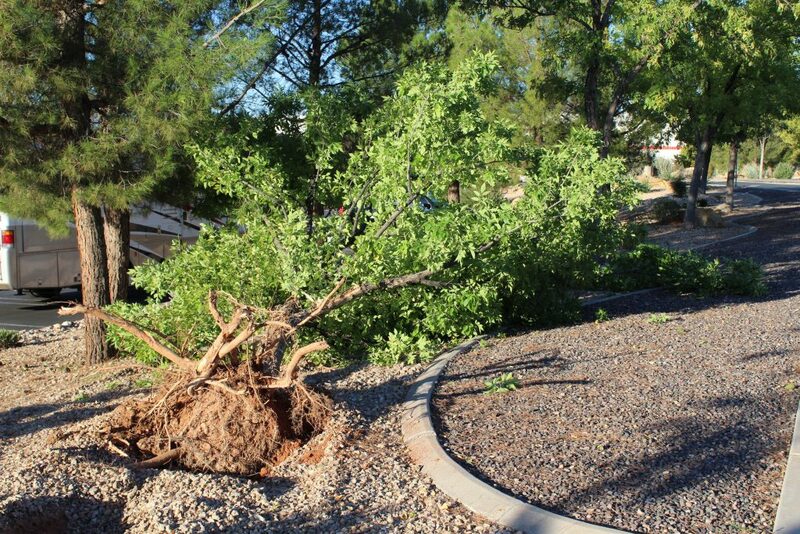 The driver of the Ford then drove over the sidewalk, a bush and several large rocks before crashing into a tree, knocking it over and pulling it up by the roots. Minor aches and pains were reported but no significant injuries Trombley said. 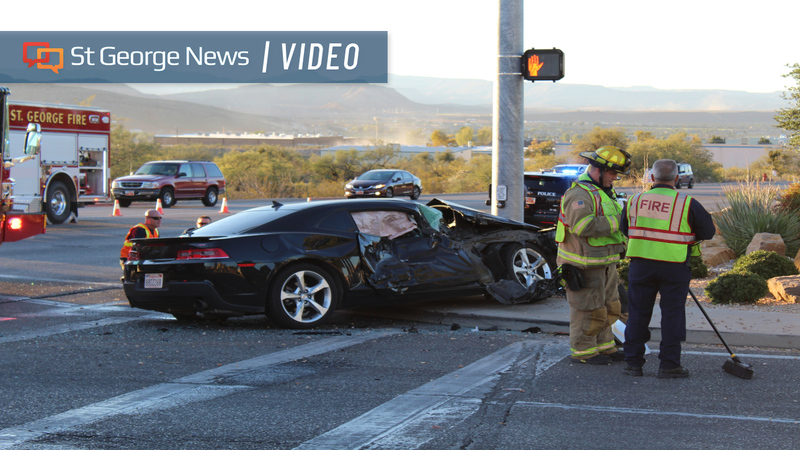 Both drivers were wearing seat belts at the time of the crash. 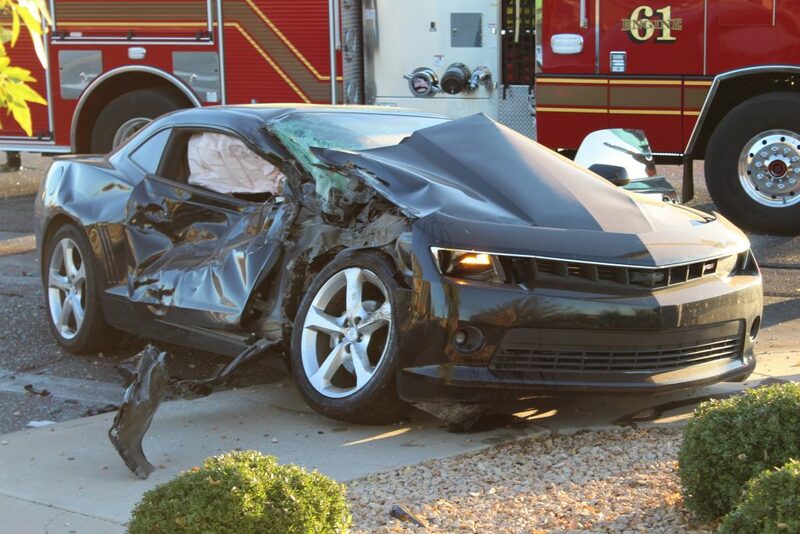 The driver of the Camaro was cited for failure to yield on a left turn. “The vehicles that are traveling straight have the right of way whether the light is yellow or not,” Trombley said. That poor tree never stood a chance. RIP. 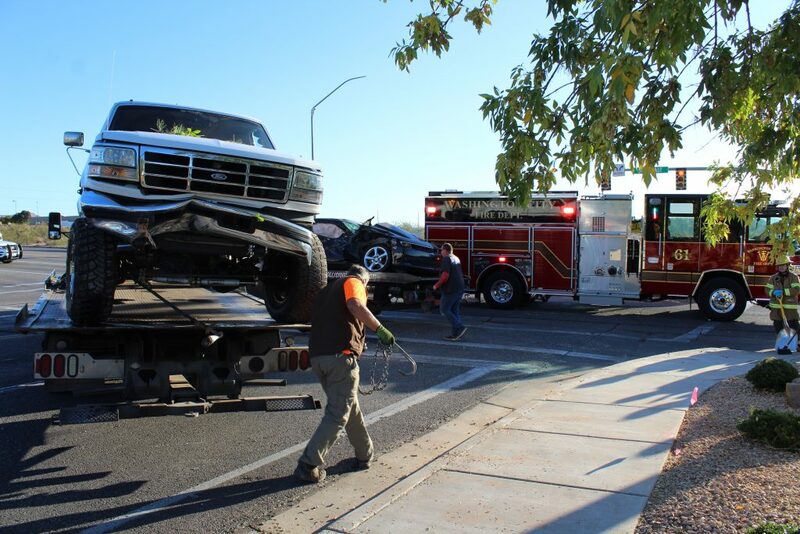 Another day playing bumper cars in STG. 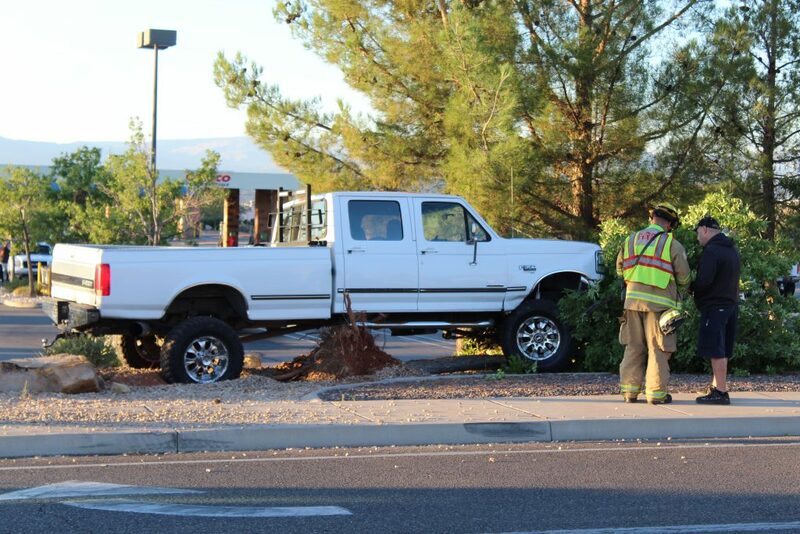 Another day, another idiot who shouldn’t have a license in Crash City, Utah! She was probably checking her FaceSnapInstaTwitter! Freaking people these days! Nice looking F250, too bad it had to tangle needlessly.